4000 RPM, 5.2 AMP motor weighing only 6 lbs. Includes rubber pad, spanner wrench, lock nut wrench and side handle. 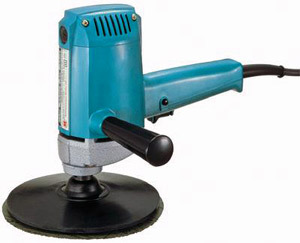 Ideal for grinding and edging glass.